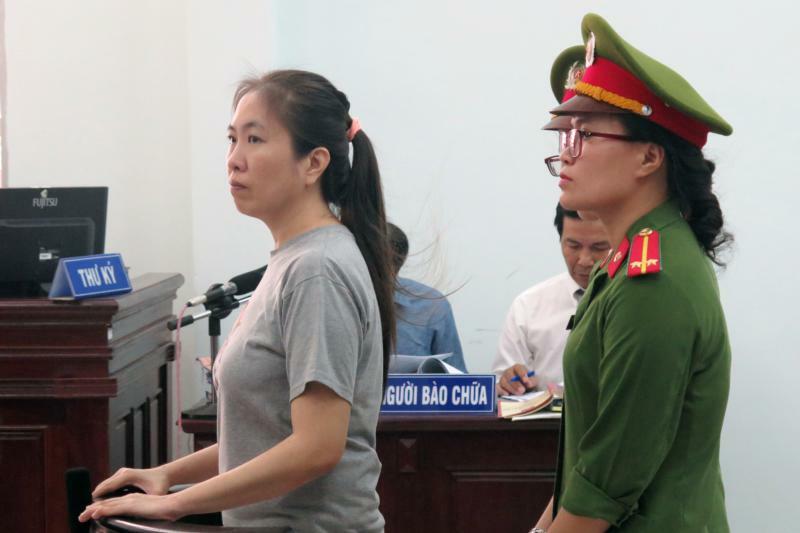 HANOI, Vietnam (CNS) — Vietnam has freed a well-known Catholic blogger and rights activist jailed two years ago for posting anti-government material on social media and forced her into exile in the United States. Nguyen Ngoc Nhu Quynh, known as “Mother Mushroom,” was driven from Prison Camp No. 5 in Vietnam’s northern province of Thanh Hoa to Noi Bai International Airport in Hanoi on Oct. 17, the Network of Vietnamese Bloggers said. “Security officers only allowed Quynh to speak to officials from the U.S. embassy in Hanoi at the airport for five minutes before putting her on a flight at noon,” the network said in a statement. Quynh, 39, met her two children and mother, Nguyen Tuyet Lan, on the plane, which arrived in Houston the same day, ucanews.com reported. “Quynh was freed after 2 years and 7 days in jail in Vietnam. A new stage in the life of a woman who fights tirelessly for human rights, national sovereignty and environmental protection will begin,” the network said. Quynh, a network co-founder, was serving a 10-year prison sentence for publishing anti-government material and speaking out in support of political prisoners. The blogger network said Quynh would continue her fight for human rights and democracy in Vietnam from the U.S.
“No one can defeat her will and dedication,” it said. Nguyen Van Dai, A Christian attorney who heads the Vietnam-based Brotherhood for Democracy, congratulated Quynh on being freed and arriving in the U.S.
Dai, a former political prisoner who was sent into exile in Germany in June, said he hoped Quynh would continue her fight for freedom, democracy and human rights in Vietnam. Another former prisoner of conscience, Bui Thi Minh Hang, called on activists and the international community to pressure Vietnam into freeing jailed rights activist Tran Thi Nga, who she said was suffering from ill-treatment by inmates and officials at Gia Trung prison camp in Gia Lai province in Vietnam’s central highlands. “She has not seen her children or other family for the past three months,” Hang said.